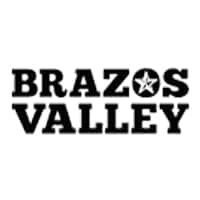 Brazos Valley Volkswagen has been serving College Station, Texas for many years! Our large new and used car inventory allows you to always find the car of your dreams, without compromise! We are very grateful for the continuous support of College Station residence. You have allowed us to build a reputation we are proud of. See what our customers have to say by reading our customer reviews! Looking for a new Volkswagen near College Station, Texas? You have come to the right place. Our inventory is always being updated with the newest releases to ensure that our customers have access to the newest technology. We believe that our competitive inventory and pricing is what has made us the favored dealership of College Station, Texas residence. Come see for yourself why Brazos Valley Volkswagen is the premier dealership near College Station, Texas. Our impressive lineup of new VW Sedans, Wagons, and Compacts are sure to please. If it’s a SUV you’re after, we suggest taking the Tiguan out for a spin or settling into the sleek design of the Touareg. Brazos Valley Volkswagen even offers the Beetle Convertible. Brazos Valley Volkswagen is proud to bring affordability without compromise to the people of College Station, Texas. At Brazos Valley Volkswagen we understand that finances don’t always allow for the new car for your dreams, but a used car should come with the class and safety you deserve. Our goal is to have you drive away in a VW that will bring you years of comfort at a price you are comfortable with. Brazos Valley Volkswagen service center is one of a kind! Our certified technicians treat your car as if it were their own. We offer pre paid maintenance menus for all years, makes, and model guaranteeing that our customers have access to the best. You can enjoy free Wifi in our comfortable service center or our free shuttle will be happy to take you where you need to go. Trust that Brazos Valley Volkswagen’s reputation will not let you down. Just like hundreds of other College Station residents, we encourage you to get your car serviced at the trusted Brazos Valley Volkswagen. Come in or shop our website to see all that we have to offer. We are conveniently located at 3100 Briarcrest Dr Bryan, TX 77802. If I could give them a multiple 6-star ratings, I would all day! They kept asking me questions to see which car would fit me the best and next thing I knew I was driving out of the dealership with a brand new Jetta! Thank y’all for everything!! Thanks for the hospitality, Brazos Valley Volkswagen! Purchased a new Volkswagen Atlas and I couldn’t have made a better decision. The salesperson was very easy-going and made this whole process very easy. You can’t find a dealership like that now-a-days. Brazos Valley Volkswagen	30.6637177, -96.3252381.